PDF Validator combines CommonLooks’s proven PDF technology and feature set into the perfect tool for testing documents against the leading accessibility standards. Unlike other PDF verification products, PDF Validator provides users with a certification report for each tested document. Communications and compliance specialists can rest assured that their PDFs are compliant with accessibility standards. With other verification products, it’s not uncommon that documents will pass the tests, but still not be accessible and compliant. 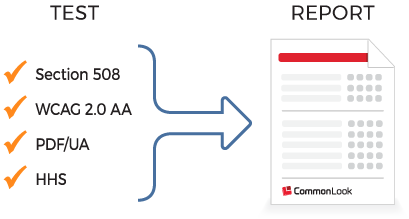 CommonLook PDF GlobalAccess provides an all-in-one environment to test, remediate and verify documents. Recognized in the W3C’s PDF Techniques for WCAG 2.0, PDF GlobalAccess is loaded with powerful tools to accelerate the remediation process. It provides faster and more efficient results, than Adobe Acrobat. in-house knowledge and resources. 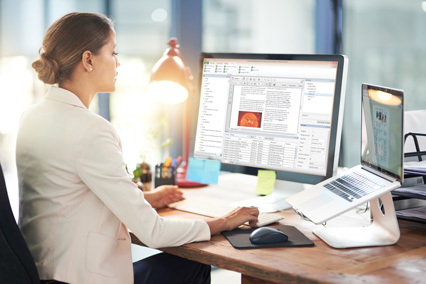 PDF GlobalAccess does not require that compliance, communications, and IT users have prior knowledge of accessibility software or compliance standards. Supports structural validation based on ISO 32000-1:2008. 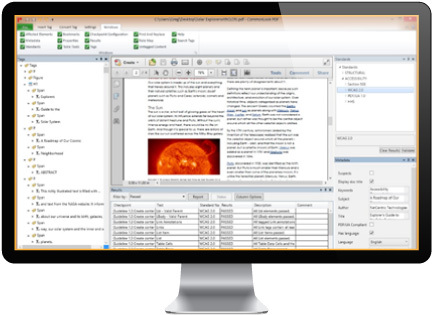 Alerts users to correct structuring of tables, lists, and tables of contents.